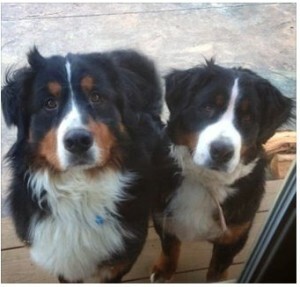 A Chester County Court jury must decide whether a West Vincent Township resident was justified in shooting Argus and Fiona, his neighbors’ pet Bernese mountain dogs. A case that has drawn the ire of area animal-rights activists began Monday in Chester County Court, where a West Vincent Township man faces charges related to the fatal shooting of two dogs that escaped from the fenced yard of their owners in February. 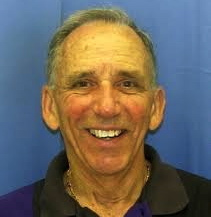 In his opening statement to the jury, Assistant District Attorney Kevin P. Pierce said Gabriel Pilotti, 73, of Chester Springs, acted with malice and willfulness when he used a single-shot, 20-gauge shotgun to kill 2-year-old Argus and then reloaded it to shoot 1-year-old Fiona, Bernese mountain dogs owned by neighbors Mary and William Bock. “We acknowledge that he shot and killed the two dogs,” said defense attorney Thomas H. Ramsay, insisting his client did not act maliciously. Ramsay said Pilotti, who plans to take the stand, was simply protecting his sheep. “The man took action that he thought he had a lawful right to take,” Ramsay said, pointing out that the Bocks violated the law that requires dogs to be leashed. The jury of nine women and three men heard from three witnesses on Monday: William Bock, Mary Bock, and West Vincent Township Police Officer Austin Russell, who responded to Pilotti’s 9-1-1 call. The Bocks both testified that their non-aggressive dogs were instinctive herders, sometimes even shepherding the youngest five of their eight children in the backyard. Mary Bock elicited laughs from the jury when describing Fiona as “just a big mush,” who couldn’t possibly jump a fence. “I never witnessed all four paws off the ground at the same time,” she explained. She said she got concerned on Feb. 12 when she let the dogs out and they didn’t return as usual, even when she whistled. She said she later realized that a tree limb had fallen onto the fence, creating an escape hatch. William Bock said he “was dumbfounded” by the conversation. During cross-examination, he said the dogs were about 100 pounds each and had gotten loose several times before. Mary Bock echoed that testimony, adding that neighbors generally looked out for each other’s animals. The Bocks’ dogs had collars and tags with their names and the family’s phone number, she said. During one of several testy exchanges, Ramsay asked Mary Bock: “Do you take any responsibility for what happened to your dogs that day?” Senior Judge Ronald C. Nagle sustained Pierce’s objection to the question. Later, Ramsay sparred with Russell, who testified that Pilotti’s explanation that the dogs were attacking his sheep gave Russell pause. He said the sheep did not have any injuries, and Pilotti’s answers were vague. He said it would have taken 20 to 30 seconds for Pilotti to reload the shotgun, and the position of one of the dogs’ bodies suggested it was killed while on the run. “Something just didn’t seem right,” Russell testified. Russell, a police officer for 12 years, said there were no other witnesses; he said he and his chief sought input from an animal control officer. He said police interviewed Pilotti again on Feb. 20. He admitted that officers told Pilotti he was free to go at any time and did not read him his Miranda rights, arresting him the following day. Ramsay suggested that police did not want Pilotti, who has no criminal history, to have legal representation and were trying to trap him. Challenging Russell’s experience, Ramsay asked him how many times he had dealt with dogs shot in a pasture. Ramsay’s questioning prompted a sharp rebuke from the judge. “The gratuitous remarks are not to continue,” Nagle said, pointing out that the officer is not the one on trial. The case will continue on Tuesday.